Before I started to do my own research on skin care products and their ingredients, I think I would have believed all 9 of the myths listed below. Even after I started to look into this space I was at first skeptical about some of these claims. But the deeper I dug, the more I realized that these really are just myths, and that it’s vital that consumers learn the truth. One organization that I have learned to trust and whose material I frequently consult is the Environmental Working Group or EWG. A more detailed version of the information shown below, with a full list of references cited, can be found here on the EWG’s web site. I encourage you to visit their site and become acquainted with the wealth of information that they have to offer. Myth #1 – If it’s for sale at a reputable store, it must be safe. Fact – Congress has not granted the Food and Drug Administration any authority to require companies to test cosmetics products for safety. The agency does not review or approve the vast majority of products or ingredients before they go on the market. FDA conducts pre-market reviews only of certain cosmetics color additives and active ingredients that are classified as over-the-counter drugs. Myth #2 – Companies can’t put chemicals into personal care products without first getting government approval. The government prohibits the use of all dangerous chemicals in personal care products, and even if it didn’t, companies wouldn’t risk using them. Fact – With the exception of color additives and a few prohibited substances, cosmetics companies may use any ingredient or raw material in their products without government review or approval. Whereas the European Union has banned more than 1,000 ingredients from use in cosmetics, the FDA has only prohibited 8 ingredients. Myth #3 – The cosmetics industry is effective in policing industry members, making sure that all ingredients used meet a strict standard of safety. Fact – This myth is actually partially true. Since FDA does little to regulate ingredient safety, it has authorized the cosmetics industry to police itself through its Cosmetics Ingredient Review panel. However, in its more than 30-year history, the industry panel has declared only 11 ingredients or chemical groups to be unsafe, and its recommendations on restricting ingredients are not binding on companies. Myth #4 – The standard of toxicity is different for cosmetics ingredients than it is for food and drugs. Since cosmetic ingredients are applied to the skin they rarely get into the body. And when they do, the amounts are too low to matter. Fact – People are exposed to cosmetics ingredients in many ways: breathing in sprays and powders, swallowing chemicals on the lips or hands and, quite significantly, by absorbing them through the skin. In fact, cosmetics frequently contain enhancers that allow ingredients to penetrate deeper into the skin. Tests have found that cosmetics ingredients, many of which are potentially harmful chemicals, are common pollutants in the bodies of men, women and children. Myth #5 – Products made for children or bearing claims like “hypoallergenic” are safer choices. 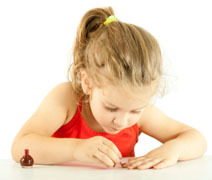 Fact – Most cosmetic marketing claims are unregulated, and companies are rarely, if ever, required to back them up, even for children’s products. The FDA says descriptions such as “hypoallergenic” or “natural” can “mean anything or nothing at all,” and while most of these terms “have considerable market value in promoting cosmetic products to consumers… dermatologists say they have very little medical meaning” . Myth #6 – Natural and organic products are always safer. 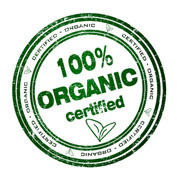 Fact – Products labeled natural or organic often contain synthetic chemicals, and even truly natural or organic ingredients are not necessarily risk-free. Products labeled “organic” or “natural” can and often do contain petrochemicals, and those certified as organic can contain as little as 10 percent organic ingredients by weight or volume. FDA did try to establish an official definition for the term “natural,” but this initiative was overturned in court. Myth #7 – FDA promptly recalls any product that injures people. Fact – FDA has no authority to require recalls of harmful cosmetics. Furthermore, manufacturers are not required to report cosmetics-related injuries to the agency. FDA relies on companies to report injuries voluntarily. Myth #8 – Consumers can read ingredient labels and avoid products with hazardous chemicals. Fact – Even if we consumers could recognize all of the listed chemical ingredients (which most of us can’t! 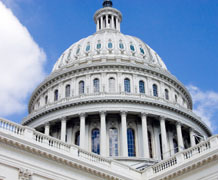 ), federal law allows companies to leave some chemical ingredients off their product labels, including those considered to be trade secrets, components of fragrance and nano-materials. As I indicated in my earlier blog posting, the word “Fragrance” may cover any number of the industry’s 3,100 stock chemicals, none of which is required to be listed on labels. Tests of fragrance ingredients have found an average of 14 hidden compounds per formulation, including ingredients linked to hormone disruption and sperm damage. Myth #9 – Cosmetics safety is a concern for women only. So there you have 9 myths that most consumers blindly believe. Now that you have been educated, what are you going to do differently? Please leave a comment to share your thoughts with all of us. I'm Mary Ann and I use quart jars to store everything from soup to sewing supplies. I love the color red, wearing aprons while cooking from scratch, designing and sewing clothes, simple living, making organic skin care products, and together with my husband, growing healthy food in the beautiful Willamette Valley of Oregon. Visit www.MaryAnnsNaturals.com for wonderful skin care products handcrafted from healthy organic ingredients.